You are currently on: Classical Studies and Ancient History page. Open sub navigation overlay. Ancient Egypt, Greece and Rome have profoundly influenced later western societies. 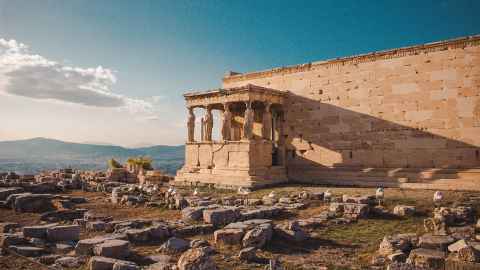 In Classical Studies and Ancient History you can study Egyptian, Greek and Roman political, military and social history and culture, and ancient literature, philosophy and art. Where can Classical Studies and Ancient History take you? Many of our graduates have gone on to a range of successful careers. Classical Studies and Ancient History can help you develop skills useful in media and television, academia, historical research, journalism, teaching, public relations, government, conservation and historical preservation, museums and art curation.